The Internet of Things (IoT) is a word that has been bandied around a lot in the past few years. But now, with the advent of mobile, it is actually becoming a reality. Put simply, the future is about connected devices that can capture and transmit data on a constant basis. This data will give us a new level of control and understanding in our daily life. Wearable tech is the first frontier of the IoT. It started with health trackers, which are increasingly syncing data through smartphone apps. Next came Google Glass, which sees the world through your eyes and takes pictures when you blink your eye. And a more recent trend is Life logging - using gadgets that clip on your clothes or around your neck, and keep taking pictures of the world around you. And of course, there are the ubiquitous smartphone watches from literally every manufacturer, which allow you to control basic smartphone functions from your wrist. The biggest potential in wearable tech is in the health sector. Think of a tiny gadget worn by a heart patient that can send out an alert in case of a cardiac event to a family member, a doctor, and to an emergency response number. Think of the huge potential to save lives. Similarly, other devices can monitor sugar, pulse and other parameters on a constant basis and transmit the data to a server. The doctor gets a daily printout, or better still a graph of the patient's stats on his mobile through an app. He can send prescriptions or messages to his patient directly from the app too. 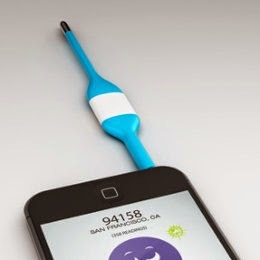 From digital thermometers to heart monitors to credit card readers, manufacturers are building devices that connect to smartphones through the audio jack. This technology is relatively cheap compared to connectivity through wi-fi or bluetooth. Which means that a thermometer that is only incrementally more expensive can be a 'smart device' too. The very first exemplar of this genre was the beautifully designed Nest Thermostat, (recently acquired by Google) - a learning device which figures out your schedule and adjusts temperatures in the house to make substantial savings in your electricity bill. 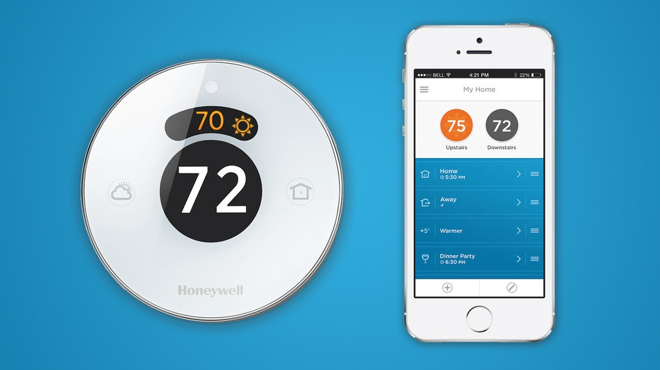 For a long time, Nest had no competition, but now, Honeywell has launched the Lyric thermostat which takes environmental factors like humidity and temperature into account when adjusting the heating/cooling levels in the house. At the recently concluded WWDC, Apple announced the launch of Homekit, a set of tools which lets developers create sophisticated iOS apps that connect with, integrate and control home devices. This move is expected to spark a lot of new product development. Philips is already working on a smart home app which will give control over their Hue Wireless lighting system, from the iPhone Notification Center. You can select the color scheme and lighting settings that you want, from your phone. And the Edyn Garden System, which just completed a successful Kickstarter campaign, is a set of devices that monitor and guide you in your garden. 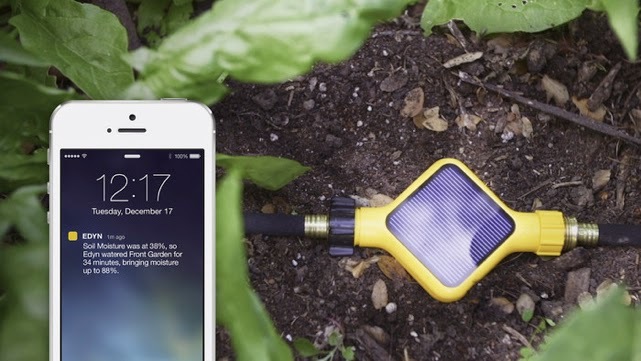 There is a sensor which analyses soil conditions and uses a smartphone app to suggest the best plants and fertilisers. And there is a Garden Valve with a companion app that works out the perfect watering schedule for your plants and decides when to water your garden, taking weather conditions into account. 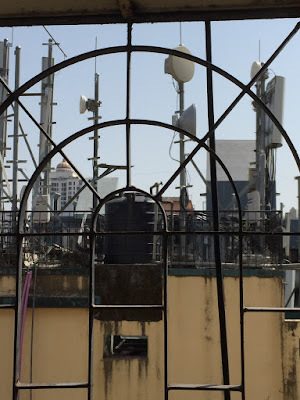 The AllSeen Alliance, an industry alliance of corporates including Cisco, D-Link, Haier, LG and Qualcomm, is working on an open source software framework which allows devices to discover, connect and interact with each other, irrespective of the brand or the operating system it uses. The framework will have cross-platform compatibility with Android, iOS, Windows and Linux. If it works out, this platform could become the Android equivalent in the world of Internet of Things. It will make simple tasks feasible - for example connecting your wireless device to the nearest pair of speakers at the click of a button. Anyone who has struggled to pair with a bluetooth headset or speaker, or Smart TV, will appreciate this! This is most sci-fi application of them all - intelligent devices that do not require human intervention and can perform human tasks. 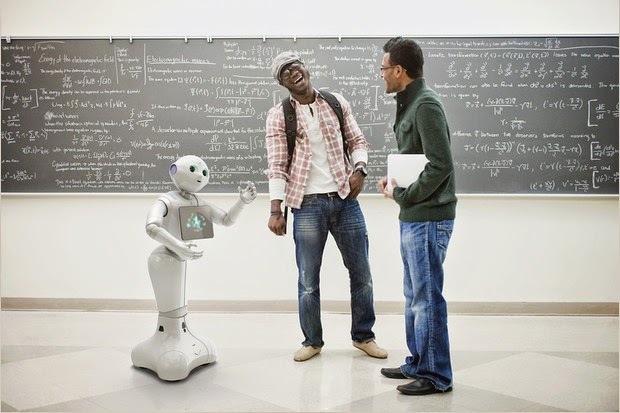 Google's Driverless Cars, Softbank Mobile's Pepper Robot, with cloud powered Artificial Intelligence are examples.Apple's Voice Assistant Siri impactfully demonstrated the power of the cloud. We can expect many more innovations to follow suit. I'd like to leave you with one thought at the end of this post. Currently 99% of devices in the physical world are not connected to the internet. But analysts predict that by 2020, we will have 50 billion connected devices. There is a huge gap to be bridged and if manufacturers and software developers find a sweet spot, then we can expect adoption of the Internet of Things to ramp up as rapidly as smartphone penetration did.